Is It Time To Sell? 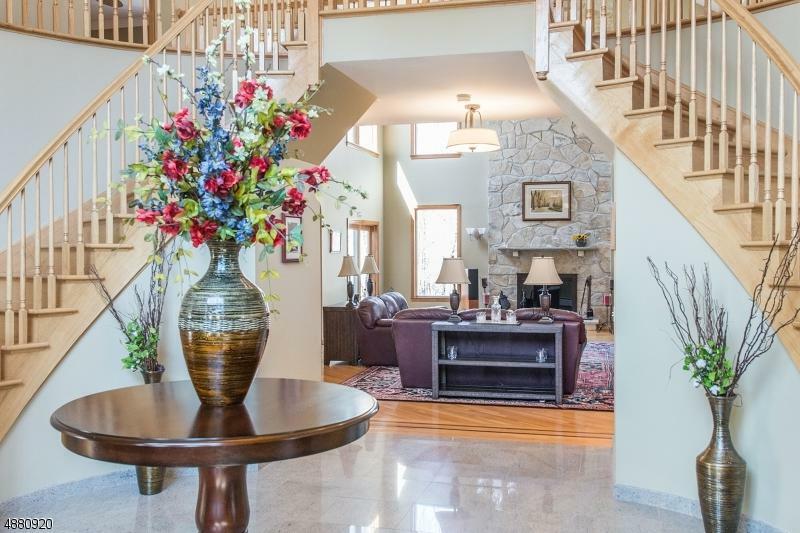 Country Elegance at its best ,Double door entry welcomes you into dramatic 2 story entry with dual staircase. Quality craftsmanship, architectural details, custom millwork ,designer touches and many Luxury amenities make this truly a home for the discerning buyer. Built for entertaining,Impressive Great room with floor to ceiling Stone FPL open to Custom Kitchen, new state of the art S/S appliances, center island, granite counters and walk-in pantry .Library and 5th Bdrm and bath are on one wing of the house and Family room/ conservatory and office on the other end.Oversized bedrooms including a Spacious Master suite with sitting room and full bath fill the 2nd level. 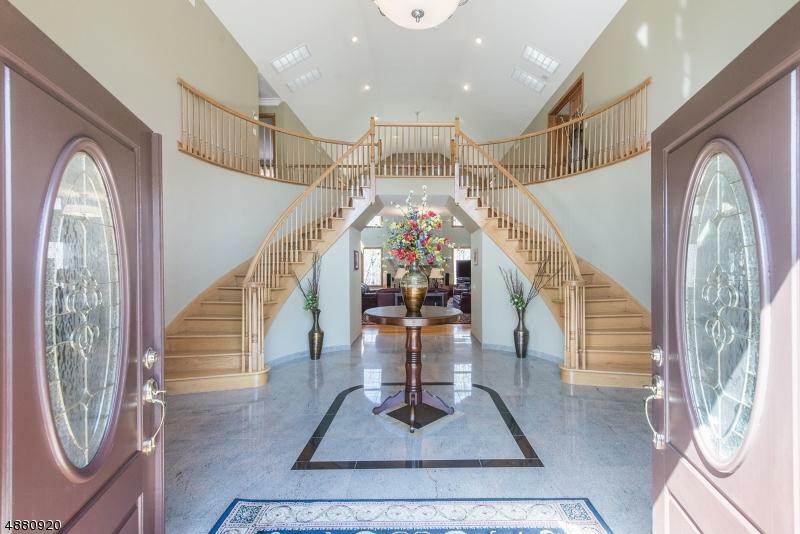 Additional entertaining in the w/o lower level includes a home theatre, gym and play room. Sit on the deck and enjoy the privacy and nature. 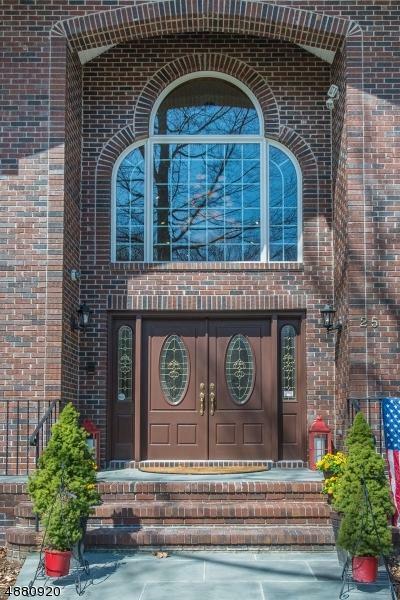 Listing information © 2019 Garden State Multiple Listing Service,LLC. Listing provided courtesy of Keller Williams Metropolitan. © 2019 Garden State Multiple Listing Service, LLC. All rights reserved. IDX information is provided exclusively for consumers' personal, non-commercial use and may not be used for any purpose other than to identify prospective properties consumers may be interested in purchasing. Information is deemed reliable but is not guaranteed accurate by the MLS or Group BK. Notice: The dissemination of listings on this website does not constitute the consent required by N.J.A.C. 11:5.6.1 (n) for the advertisement of listings exclusively for sale by another broker. Any such consent must be obtained in writing from the listing broker.The data relating to real estate for sale or lease on this web site comes in part from GSMLS. Real estate listings held by brokerage firms other than Group BK are marked with the GSMLS logo or an abbreviated logo and detailed information about them includes the name of the listing broker. Data last updated 2019-04-21T06:46:36.67. Group BK is Bergen County's most innovative real estate team. © 2019 Hudson County Multiple Listing Service. All rights reserved. IDX information is provided exclusively for consumers' personal, non-commercial use and may not be used for any purpose other than to identify prospective properties consumers may be interested in purchasing. Information is deemed reliable but is not guaranteed accurate by the MLS or Group BK. The data relating to real estate for sale or lease on this web site comes in part from HCMLS. Real estate listings held by brokerage firms other than Group BK are marked with the HCMLS logo or an abbreviated logo and detailed information about them includes the name of the listing broker. Data last updated: 2019-04-21T09:25:32.997. The data relating to real estate for sale on this web-site comes in part from the Internet Listing Display database of the CENTRAL JERSEY MULTIPLE LISTING SYSTEM, INC. Real estate listings held by brokerage firms other than this site-owner are marked with the ILD logo. The CENTRAL JERSEY MULTIPLE LISTING SYSTEM, INC does not warrant the accuracy, quality, reliability, suitability, completeness, usefulness or effectiveness of any information provided. Copyright 2019, CENTRAL JERSEY MULTIPLE LISTING SYSTEM, INC. All rights reserved. The CENTRAL JERSEY MULTIPLE LISTING SYSTEM, INC retains all rights, title and interest in and to its trademarks, service marks and copyrighted material. The information being provided is for consumers' personal, non-commercial use and may not be used for any purpose other than to identify properties the consumer may be interested in purchasing or renting. Data last updated: 2019-04-21T09:17:30.743. © 2019 New Jersey Multiple Listing Service. All rights reserved. IDX information is provided exclusively for consumers' personal, non-commercial use and may not be used for any purpose other than to identify prospective properties consumers may be interested in purchasing. Information is deemed reliable but is not guaranteed accurate by the MLS or Group BK. The data relating to the real estate for sale on this web site comes in part from the Internet Data Exchange Program of the NJMLS. Real estate listings held by brokerage firms other than Group BK are marked with the Internet Data Exchange logo and information about them includes the name of the listing brokers. Some properties listed with the participating brokers do not appear on this website at the request of the seller. Listings of brokers that do not participate in Internet Data Exchange do not appear on this website. Data last updated: 2019-04-21T09:16:11.2.